September | 2017 | Albert Moyer, Jr. I stepped outside the other night after Hurricane Harvey and suddenly something flew by me. I thought it was a bat because of the five to seven inch wingspan. I followed it and found it to be a moth. 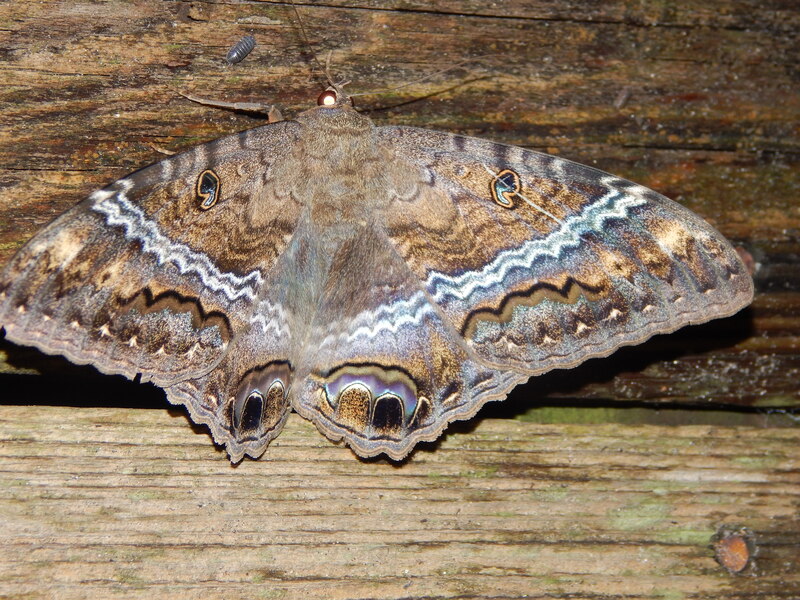 After further researching, I learned it was a Black Witch Moth. They tend to be natives of Central America and Mexico, so I find it cool to see one. This is my first sighting ever. Good luck, bad luck, whatever. I find it quite beautiful.